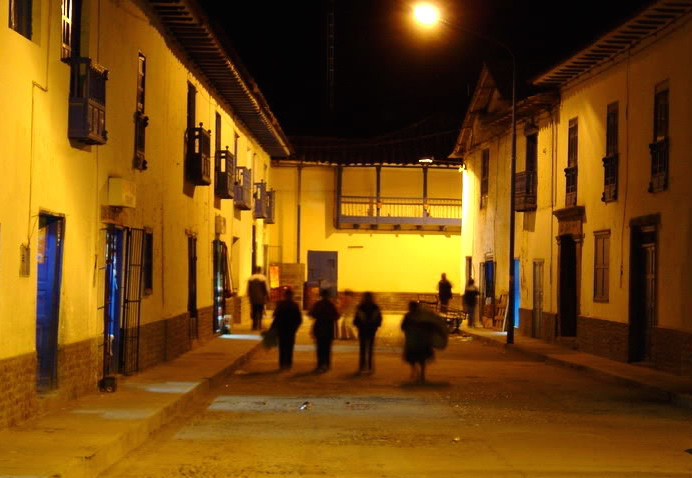 The six of us almost tumbled out of the taxi, with our food, camping equipment, buckets, candles, backpacks and butane gas canisters overwhelming the normally micro-sized taxis of Cusco. It seemed we had one minute to get the last bus out of town that was heading towards the small village of Paucartambo, our destination for the evening. Luis Pinelo, our venerable guide, sprung from the cab, his body bursting into a sprint to find our bus at the bus station. As he ran, he instructed the cab driver to start removing our gear and for us to get our backpacks on. Luis returned within two minutes, allaying our worries, telling us the bus would wait. 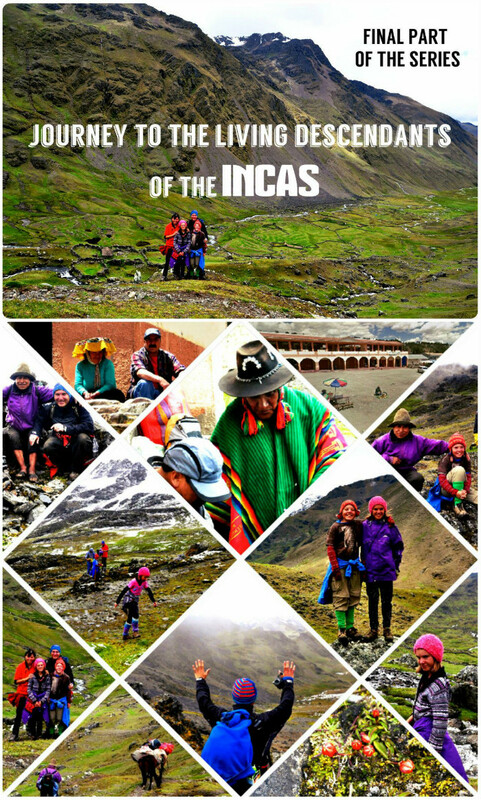 We knew it would… it wasn’t ever day that you embark on a journey to meet the living descendants of the Incas. It was 3 minutes before 3 o’clock in the afternoon when the overcrowded Peruvian Bus I was sitting on, finally set off down the curved roads of the bustling city. It had been a mad dash this morning to acquire the necessary supplies we would require for our wilderness excursion. After a tiring 4 hours of shopping, including traversing Cusco’s main market, teeming with people of all ages and sizes, I was grateful just to be able to sit down. 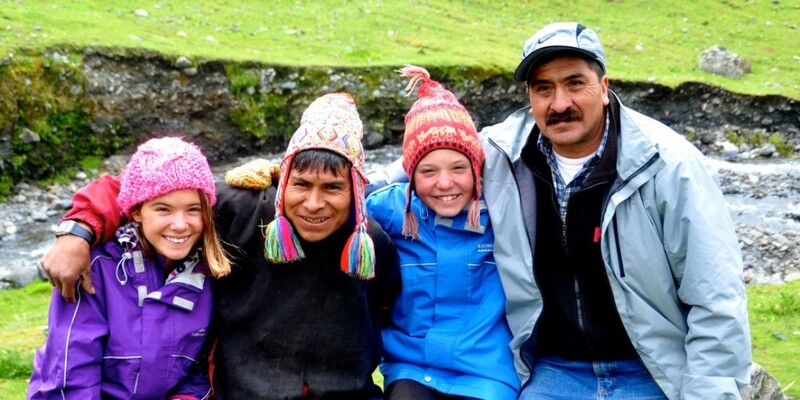 Earlier in the day at our hotel, our guide Luis had introduced us to Francisco Machacca Quispe, a kind man dressed in handloom woven rainbow clothing. He was chewing a handful of Coca Leaves that he kept in a woven pouch which hung at his waist. He was a High Priest of his Community in Q’eros, and we would be staying at his place once we arrived. Francisco spoke only limited Spanish, as his first language was the native Quechuan, but we managed to converse well enough with hand gestures and the occasional Spanish expression. Our week-long adventure commenced with the sharp jolts and turns of the autobus. 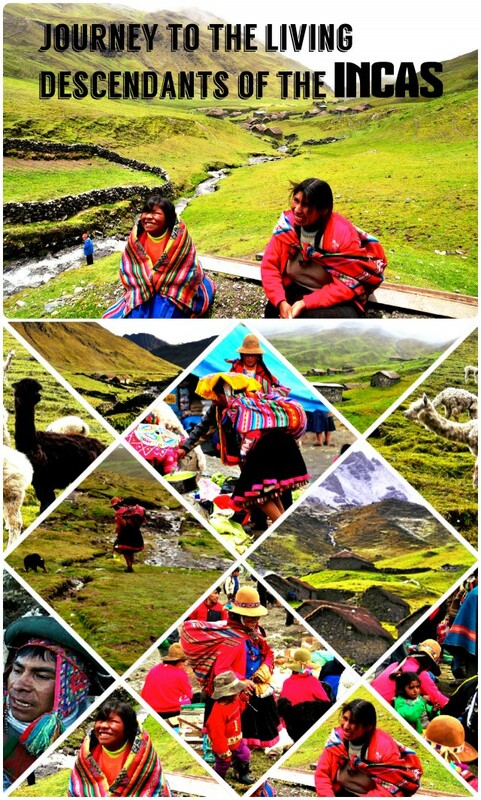 Our destination: The Choa Choa Annex of the Haton Q’ero Community, high up in the Alps of the Peruvian Andes Mountains where we were going to be living with the direct descendants of the Incas. The idea of this trip had first entered our thoughts when we had arrived in Cusco after a 26-hour-long bus ride and much motion sickness – due to the rapid change in altitude, having come from the flat desert plains of Nasca. Once we had arrived at our hotel and shared with the manager our desire not only to visit Machu Picchu, but also for an opportunity to connect with an authentic indigenous community, there was only one person he knew of that had real connections. At first, we were a bit sceptical but once we met the humorous and kind-hearted Luis, we knew that we were in very good hands. He had proposed the notion of our week-long excursion up to the Q’eros Community, but he made it clear that it was an arduous journey due to its remoteness, altitude and its lack of developed roads. He questioned whether, we, Lalika and I as children, would be able to walk 15-20 km on the mountain tops and it was only after the repeated reassurances of our parents that he confessed the trip he was planning was very special. In fact in the 14 years that he had been a guide, he had only ever taken one other person to the community he was thinking of, and that person was a Japanese National Geographic Photographer. At the time, we could only imagine what lay ahead, but now, we were about to find out. 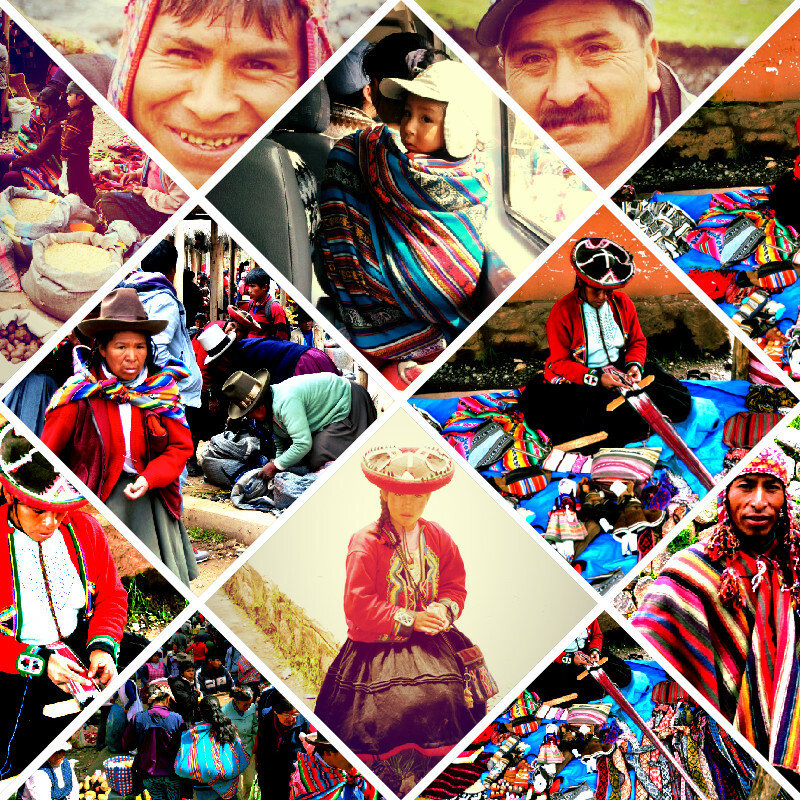 An abrupt shout broke me out of my trance “Bajo!” someone yelled from the back of the bus. “Bajo!” Immediately, everyone who was standing in the aisle of the bus bobbed down so that from the outside they couldn’t be seen. A police car whizzed by, and after the siren had receded into the distance, everyone stood back up. I was at first quite alarmed, as this happened quite often, and I began wondering why on earth everyone was crouching down while the Police drove past. Our guide, Luis, soon put my worries to rest. “The bus driver has oversold the tickets,” he explained. “It is against this bus’ policy to have extra people, but the driver can make an additional profit and these people need to get to their destinations and they can’t afford to wait for the next day’s bus. It works, just so long as no authorities see, which is why they all crouch down when a police car comes by.” ‘Bajo’ translates to ‘Down’ in Spanish and we quickly got used to the sudden drop from our fellow passengers until the red and blue police lights were out of sight. The bus ride was about 3 hours long. Lalika and I played “Hangman, Countries’ Capitals” to pass the time. The still warm end-of-Summer weather of Cusco immediately started to change to rain and cold, as we ascended to 3900 meters and exchanged a paved highway for a wet and muddy mountain road. Surprisingly my motion sickness wasn’t present, and I was able to enjoy the trip without worrying about a paper bag. Just as I finished writing “Ouagadougou,” the capital of Burkina Faso, under the dim bus lights Luis stood up and announced that we had arrived. “We’re already in the Q’eros Community! ?” I asked confused. The sky was the colour of midnight blue as we exited the bus and began to unload the tonne of camping supplies that were coming along for the journey. A couple of guys jumped up from their roadside tables where they were playing chess under small lanterns and offered to cart our stuff for a small fee. Luis accepted, and after making sure all was safe, with a considerably light load on our backs, we started to make our way through the gas lamp lit town to find accommodation for the night. Luis strutted down the road, seeming to know exactly where we were going. We stopped in front of a large wooden gate on which the paint was peeling off. We stepped inside to find a barely lit courtyard that was caked in the remains of the afternoon’s rainstorm. Mud was strewn everywhere. We gingerly hopped across the worst parts (not so easy with luggage) and came to a row of half-open doors. We stepped inside one and immediately gasped. This is what one room looked like: four tiny single beds were squashed in the room together preventing movement in-between; the covers and pillows had a thick layer of dust and dead bugs covering it; one lightbulb hung from the ceiling from where the electric wires were visible and occasionally sparked and crackled. In addition to the bugs on the bed, spiders and mosquitos were at war with each other and every minute I heard the sickly smack of a mosquito flying into a sticky net and then watched horrified as the spider rolled up his dinner and bit into its bloody flesh. There was no bathroom; Luis said that we could use the corner of the courtyard. At first, I thought he was joking but obviously he wasn’t because we did catch glimpses of suspiciously looking human excrement. Also, the door had no lock. We looked at this room and gulped. “Ahh Luis, one moment please,” Dad took our guide by the arm and quietly asked him if it was possible to go to another hotel. “But what is wrong with the place! ?” asked Luis perplexed. Mum, Lalika and I glanced at each other, wondering if we were perhaps hallucinating and were just imagining the state of the room. I saw another mosquito meet his end abruptly and knew that I wasn’t dreaming. After a few more minutes, we managed to convince Luis and we headed out of the rundown courtyard and back into the streets of Paucartambo. “I saw a hostel near the bus station” I volunteered. “Ok, let’s go check that out,” said Luis and Dad in unison. We made our way back towards the station. We glanced back apologetically at the guys who were lugging our extremely heavy supplies, but they simply shrugged. On meeting with the kind lady who ran the family-owned hostel and being shown to a very clean, cute and tidy room, with two small twin beds we knew we had found the place. This was five-star luxury compared with where we had just been. It even had a bathroom in the hallway with a hot water shower. After unpacking the bare essentials, we made our way back out to the streets to find some dinner. We found the town’s market stalls that by night converted to small restaurants serving the traditional Peruvian fare of meat, papas fritas or fries and salad. Finding places to eat in South America where vegetarian fare was available was surprisingly easy. We simply ordered the same meal we had been eating for the past three weeks on the road. “Arroz con Frijoles, con Huevos Fritos y Ensalada, por favor,” said Dad politely to a woman behind the counter who immediately gestured for us to have a seat at the table and then began fixing up our meal. What seemed like an army of cooks, worked furiously in front of scorching stoves to deliver people’s meals rapidly. It resembled a South American styled Teppanyaki set up. This seemed to be the most popular place in town, and we got some funny looks from the locals who were most likely not used to seeing foreigners eat here. It had a distinct advantage, though, as the whole meal for the five of us cost less than $6 (US). Soon our plates of steaming rice, beans, fried eggs and salad of lettuce and tomato arrived, and we began eating to candlelight. We asked Luis why the lights were not turned on as we could plainly see that there were light bulbs installed. “The electricity is turned off here at the markets at 8pm,” he explained, “and doesn’t come on until morning.” There were many candles burning, and their warm glow added a cozy feel to our dinner. 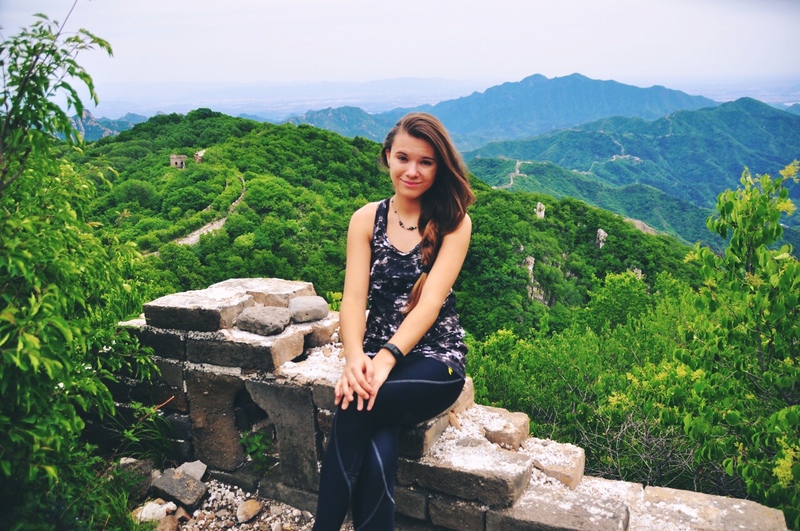 After eating, we walked the streets, buying the final few things we would need for our time up in the mountains. After purchasing and array of books, pencils, erasers, sharpeners and stickers, as gifts for the school we would also visit, we said goodnight to Luis. 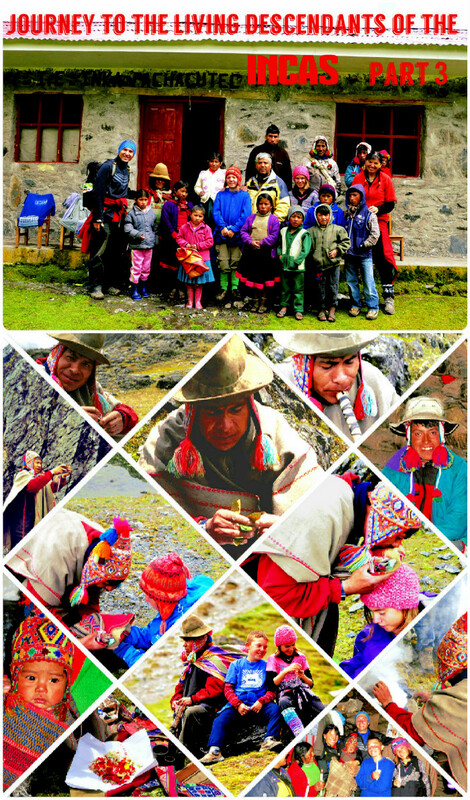 He wasn’t staying with us in the Hostel but with the driver and his family who would take us up to the Inca community the following day. “Be ready at 4am!” Luis said as he disappeared down the dark streets, lugging with him the 3 Kilos (6.6 Pounds) of rice he would add to our inventory. We returned to the hostel where I triple checked for bugs in the bed and luckily found none. Then it was lights out, and we were all asleep within moments. The next morning we awoke at 3:30am, well before the sun rose and were out of the hostel by 3:45am. We made our way to the site where the truck was waiting and would take us only as far as the road would allow. There were no guarantees offered by the driver. He was adamant that at this time of the year, how far we get, would be dependent on how firm and traversable the road through the mountains were. Wherever he dropped us, we would have to make our own way onwards to the Q’eros Community of the Living Descendants of the Incas. At this point, a little bit of fear began creeping into my consciousness, and I turned to Dad with all my worried questions. That last forceful answer jolted me back, out of my fear and into reality as I noticed the silliness of my questions. “Of course I won’t die,” I muttered at myself and with a trustful smile on my face, I got into the toasty warm pickup truck and sighed contentedly.